Well folks, it’s time to check in and give you all the latest news. Here’s the biggest thing: my new book just came out last week. It’s a memoir of traveling around South America following Morrissey’s tour. It was fun to write, and an absolute blast to live through. The tour was a six-week odyssey through seven South American countries. Not a trip for the faint-hearted, and certainly not for anyone with delicate health! But I guess it’s clear I don’t fall into the ‘delicate’ category anymore, and if you read this book, you’ll really see what I mean! My health is wonderful these days. I have no complaints. Over a year ago, I had done 114 rounds of chelation. I don’t keep track anymore, but I do chelate every month or two, so I’m up close to 130 rounds now? Something like that. 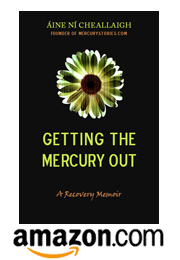 I hope everyone reading this is on a good path with their health, and I really want to thank everyone for continuing to visit this blog and for buying Getting the Mercury Out. Good health and best wishes to all! Wow, how long was it before you figured out this was Hg? I am so happy to hear you are doing well now. I have 40 days until ALA and my anxiety is through the roof. Thank GOD for Andy and the Think Tank! It is wonderful to hear of your continued progress. I just finished Getting the Mercury Out. I am on Round 10 of chelation with very low doses of ALA only. I am older though and pretty sick but I too will recover.